Rally goers at a UDP meeting in Belize. News Americas, NEW YORK, NY, Fri. Oct. 30, 2015: Will Belize go the route of many Caribbean nations that have gone to the polls in recent months and change leaders? 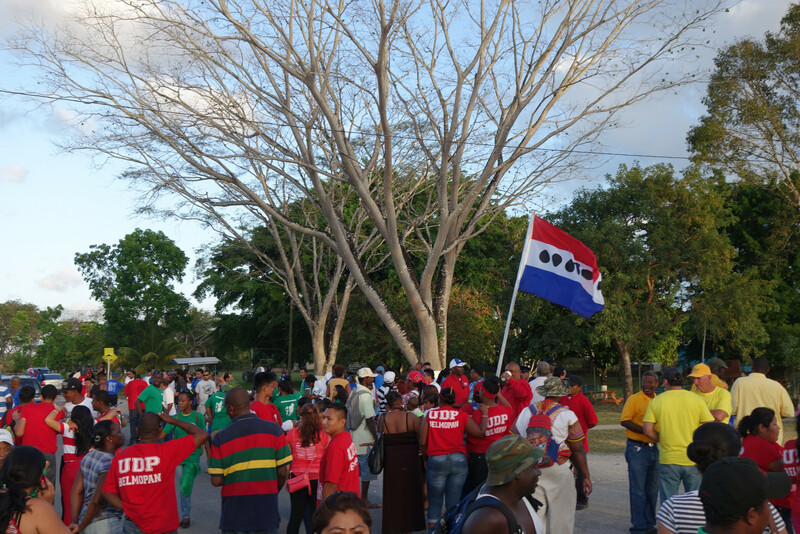 The voters hold the answer as the countdown to election in the Caricom member Central American based nation begins. Elections are scheduled for November 4th as the ruling United Democratic Party (UDP) seeks to retain the government against the main opposition People’s United Party (PUP). Thirty-one constituencies are up for grab. In the last general election, the UDP won 17 of the 31 seats. Representatives of the Organization of American States (OAS) will be on the ground observing the elections. The OAS said it will be the second time that it is deploys an Election Observer Mission to Belize after the 2012 general and municipal elections in that country. The delegation will be headed by Ambassador Jacinth Henry-Martin, Chief of Staff to OAS Secretary General Luis Almagro and is comprised of 13 observers from 11 countries including Antigua and Barbuda, Argentina, Barbados, Bolivia, El Salvador, France, Mexico, St. Kitts and Nevis, St. Vincent and the Grenadines, Trinidad and Tobago and the United States). The first members of the Mission arrived in Belize on October 27th.